Hi Willie & Brenda- thank you for helping us get our home in Havasu last May 20th (escrow closed). We both love our home here. It was such a pleasure to find professional Real Estate agents like Willie & Brenda Gonzalez. When looking for a Real Estate agent you should look for one that is knowledgeable, courteous and professional and they were all three. Once my property sold they kept me informed every step of the way through closing. I can’t tell you how important it is to understand where you are at in the process when selling your home. I’m extremely happy with the service I received and would highly recommend Willie and Brenda Gonzalez. We can't say enough about the customer service provided by Willie. We were coming in from out of state and were only able to look at homes on the weekends. Willie never hesitated to be available. Once we found a home to purchase, Willie was always available by phone, text, or email throughout the purchase process. If you are considering purchasing a home in Lake Havasu, do yourself a favor and call Willie. I own four homes. Have been doing the real estate thing for almost 27 years. Willie, without a doubt, was my most pleasant experience yet. I could not have been happier ! Thank you Willie. I love this house!! ��'� Way to go dude. We want to thank Brenda and Willie for their help in selling out Lake Havasu home. Their professionalism and attention to detail enabled us to have an accepted offer in 12 days from list. Anyone looking to sell or purchase in Lake Havasu should give Brenda or Willie a call. Willie and Brenda went above and beyond anything we expected. They helped us even though we were not even there. They have always kept our best interest at heart. Willie always has a smile on his face and had us smiling and laughing the whole time we were dealing with him. They did an exceptional job. We would highly recommend Willie and Brenda (the G Force Team) to help you buy or sell your home. You will have an exceptional experience. My home was sold under less than ideal circumstances, including some that made marketing and selling it very unique and difficult. Brenda & Willie diligently got my home on the market, found that right buyer and closed the deal. All the while, meeting unusual, but necessary outside requirements. Brenda & Willie are amazing! I couldn't be happier! After moving from Michigan to Havasu, Willie was recommended to us by my sister, another client he helped relocate. Willie was on the job before we’d even arrived, was showing us houses within the first two days, and by the end of the week had found us our new place. Willie guided us through every stage of the process, from changing mortgage requirements to the various services needed for life in the desert. We now have a new city and state to call home, and will be certain to send any other Michigan refugees his way. I just wanted to say what a great experience it was buying my new home and having Willie as my agent. Being an out of state buyer could have been overwhelming but Willie and Brenda went above and beyond to ensure everything went smoothly. On a scale of 1-10 you guys score a 20. Thank you for all your personal attention!!! My husband and I worked with Brenda and Willie Gonzalez to purchase our vacation home in Lake Havasu. Brenda and Willie's, responsiveness and customer service are outstanding. They kept us informed throughout the entire transaction and made the process easy and stress free. We later sold our vacation home with Brenda and Willie's help. With their guidance on prepping the house along with their powerful marketing, we received 3 offers the first day on the market. If you are looking for a Realtor, I would highly recommend you use them. You will be in good hands. Brenda, you and Willie did an outstanding job in helping me sell this house,you guys were always there to answer any questions that I had.Everything was handled in a professional manner and you even took care property issues that needed attention due to the fact I lived out of state.You guys are stand up. The G-Force is the only real estate team to use. They cleaned and staged our house and sold it in 23 days. They new exactly what price to list the house for and took care of all the little problems while closing the deal. They are great at their job and now they are lifetime friends. Willie and Brenda are the greatest and they get our very highest recommendation. Everyone knows how stressful it is to sell or buy a home. All of us look for someone who will be honest, hardworking and willing to give their ALL to you. Either it be buying your dream home or selling your home we all want the best. When we were introduced to the G Force it just felt right. We have sold and bought more then once with Brenda and Willie. We have always been 100 percent happy with them and the job they have done. They made living in Lake Havasu easy with their help finding the right person for the job or helping with ideas. They go beyond expectations one has for a real estate agent. Brenda and Willie are the best and we appreciate them for the professional excellence they showed us. Brenda and Willie Gonzalez are the realtors to sell or buy your home with. They are both very knowledgeable when it comes to anything about Lake Havasu. Willie makes your experience fun, but at the same time really listens to what you want. Brenda is the brain behind Willie. She does so much research, it's unbelievable. They are in my opinion are the BEST couple to invest your time and experience with either selling or buying !! Go G Force ! Brenda and Willie are simply first-class...timely updates, local market wizards, so helpful with maintenance details while listed, no-nonsense advice, listened to seller's point of view, returned all calls and e-mails immediately.....handled offer/counter-offer/final sale details literally within hours....and the deal was done! Professional commitment exhibited at every point of process from initial consultation through closing...no baloney, consummate professionals.....and lest I forget, wonderful sense of humor and empathetic ear when needed! Looking forward to putting togethersome more deals down the road! Do yourself a great favor and sign up with the G-Force Team of Brenda & Willie! Willie I like that you were not pushy and showed up on time on all occasions even got to deliver flyers too lol . Great team to work with and they have the patience of Job. Willie and Brenda went above and beyond anything we expected. He is still helping us even though we are not even there. He had a smile on his face and had us smiling and laughing the whole time we were dealing with him. Even though he is a Steelers fan we still consider him a good friend. They did an exceptional job. A nice friendly couple with great personalities. They have been there to assist us not only when we purchased our house in LHC but continue to assist us when needed with referrals to other local businesses as needed. They have become more than realtors to us, we consider them friends. Brenda and Willie, Thank you guys soooo much for going above and beyond. Dad was so pleased the house sold so quickly. And all because of you two. Greatly appreciated everything you've done for us. Especially for not making the distance between us not get in the way of your hard work. Taking care of the repairs and the sell of the house was just awesome on your part. I'm sad that Dad didn't stay with us long enough to tell you both thank you himself. It was a pleasure working with you both. When we decided to move back to Lake Havasu City as far as we were concerned Brenda and Willie were our only choice. They did a great job selling our previous home and lived up to our expectations in finding us a new home. With great enthusiasm and communication both via e-mail and telephone we were able to make a list of houses to look at. They took the time to preview some of them prior to our arrival and had a good idea of what we wanted. Willie met us at the first house on our way into town, and by the end of the day we had gone through the list and found our new to us Lake Havasu City home. An offer was written, accepted, and all aspects of closing went smoothly. After closing Willie offered to keep an eye on the house until we could get moved in, going above and beyond our expectations and we now consider then two of our Lake Havasu City friends. We recommend the G-Force to anyone looking to buy or sell in Lake Havasu City. After some online research, we thought we wanted to retire to Lake Havasu City, but needed more information. While browsing properties we discovered Brenda and Willie. They soon became our great Lake Havasu resource. We searched all the usual websites for homes and whenever wewanted more information on a property we’d email Brenda and Willie. They always responded quickly and with lots of great info which often meant that Willie was making trips to look at properties for us – even though we’d not yet met in person. And this went on for months! At last we got an opportunity to visit LHC. On our first day of house hunting we met Willie and he was totally prepared with a long list of homes for us to see –some we’d seen online and many more we hadn’t discovered. He did a great job of listening to us andchoosing a wide range of homes for us to look at. Because we didn’t know LakeHavasu, Willie showed us homes in all areas and, at our request, even outsideour price range because we really wanted to get a feel for the town. To our surprise we found a beautiful home on our first trip and our offer was accepted. Unfortunately, through no fault of Brenda and Willie, that deal fell through and we were back two months later, once again looking for a home. Willie’s enthusiasm for our search never waned and happily we found our dream home. I can’t recommend The G Force of Lake Havasu highly enough! My boyfriend and I have always loved Lake Havasu City and just a few months ago decided to look for a vacation home there. A friend of ours who bought a house in Havasu a few years ago recommended Brenda and Willie to us. We got the pleasure of working with both of them and cannot say enough good things about our experience. I was nervous at first that by living in California we were going to have a tough time finding a place in Havasu and make endless trips out there and back looking. Willie took good note of what we were looking for and searched online and in person. Thanks to Willie we found the perfect house and were able to write an offer all within a few weeks and only two trips. Both Brenda and Willie are very personable and made the escrow a breeze. I have never had such an easy home buying experience. On top of everything, while our house was in escrow a huge storm blew through Lake Havasu City, and without us even asking, Willie went over there and checked on everything to make sure there weren’t any leaks or damage. After all of this, I consider Brenda and Willie way more than agents, they are our first new Lake Havasu City friends. Thanks Willie and Brenda for all the work you both put in to help us in finding the perfect home we wanted for our Daughter and son-in-law.Kudos to you both. We highly recommend Brenda & Wille to anyone looking to buy or sell in the Lake Havasu City area. They have assisted us in three purchases and two sales. They sold our homes quickly, 3 days and 29 days, and made the process seem so simple because of their expertise and resources within the community. Brenda & Willie definitely go the extra miles for their clients. Brenda and Willie made the process of finding the "perfect" home for my wife and I a pleasure. And when it came time to write and present our contract we feel that we were represented with the utmost professionalism. We relocated and they have gone above and beyond to help us get to know Lake Havasu as our new community. Not only do we highly recommend the G-FORCE team, we will be using them for all of our real esate needs in the future. 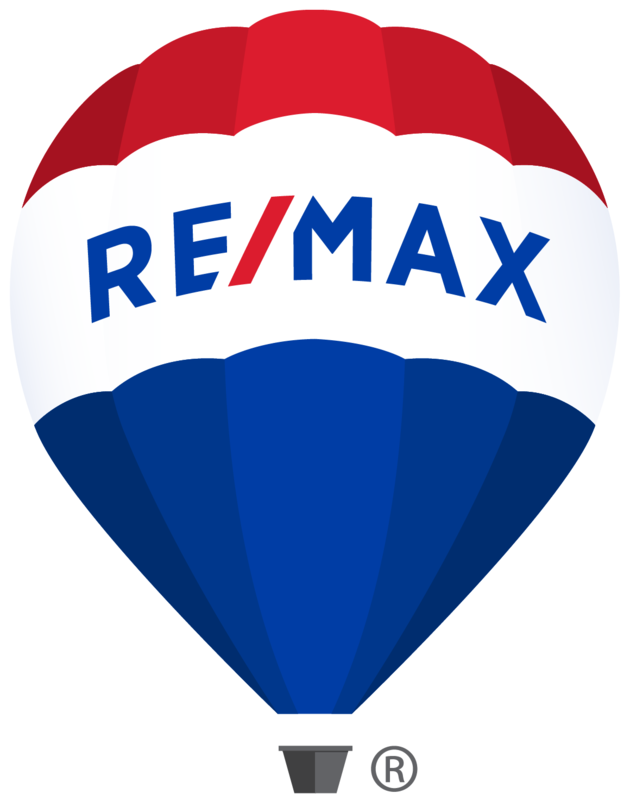 Brenda & Willie Gonzalez from Remax, the G Force in Lake Havasu deserve more then 5 stars. From the time we said sell their expertise and hard work sold our home in 3 days. Brenda and Willie did not stop there. They worked and gave us complete attention and honesty to find us another home of our dreams. Coming from a different state the integrity and honesty of these two professionals is beyond anything we have encountered before. Brenda.s staging talents are fabulous and she does it with charm and knowledge of what will look great to impress potential buyers. Willie's personality makes the task of selling fun and stress free. We would only recommend these realtors to others. G Force is amazing. Since the first time we met Brenda and Willie they have gone way above and beyond anything I have ever experienced with a realtor!! They didn’t push me to buy the first thing I took notice in, they made me take my time until we found the perfect house. Their help and knowledge of the city and the market were unbeatable!! Check out the house they bought and furnished for their client. That was me!!! I can’t believe how awesome my new house is and I couldn’t have done it without them!! Thanks so much Brenda and Willie! Our experience of buying a home was excellent due to the professional guidance of Willie Gonzalez and the G Force team. Willie went out of his way to answer and help with our concerns. We can not thank them enough. Highly recommend the the G Force. Brenda knew exactly what I wanted (and didn't want). We found my new home on our first day. Even after closing and I was moved in, I still hear from her to see if everything is ok or if there is anything they can do for me. Great, painless experience. I would like to take this opportunity to thank the G Force for finding us our "wow" home. We arrived in Lake Havasu in December on a Saturday afternoon and met with Willie part of the G force. We went north east south and west looking for the house with the "wow" factor Saturday came to an end. On Sunday we met with the other half of the G Force, Brenda took us allover the place, pointing out places of interest as well as seeing numerous houses. The day had almost finished when we arrived at the last house to view of the day. We knew almost at once this was the house. The G Force helped us with a speedy home inspection and all the paper work. I have no hesitation in recommending the G Force as your realtor,if you are looking for your home in Lake Havasu. What a couple of highly professionals realtors. We feel so fortunate to have found Brenda & Willie to assist us in navigating the real estate market in Lake Havasu. They sold our house in 3 days and worked hard to find the perfect upgrade home for our needs. We look forward to a long working relationship with the G-Force! WOW! How can we thank you enough. We had a great experience with you as our Realtor and we will definitely recommend you to our family, friends and strangers too. We felt very comfortable and I was very confident that you had a good feel for the type of house we wanted. We also felt we were just as important to you as your buyers who were in the market for higher end property. Thanks you for that. You and Willie make a great team and have both gone beyond what is normally expected of an agent and we appreciated it. We are totally happy with our house and look forward to many years of vacation and down time in Lake Havasu City. We can say from experience; the “G-Force” is the force to be reckoned with (and worked with) in Lake Havasu! Brandi and I could not be more pleased with the services, support, care and attention you provided. It was evident from the start that we were working with true professionals. Thank you again for your personal care and attention to our purchase. We will, and have already, gladly refer our friends and family to you in the future. We would welcome calls from anyone considering your services. We are writing to express our sincerest thanks and gratitude to Team Gonzalez for making our entire buying experience so pleasant and stress free. You not only provided excellent service throughout the buying process but continued that support long after settlement by providing answers to all our questions. We can not imagine how we would have coordinated all the necessary steps from our current home 2500 miles away without the expertise, professionalism and guidance from your Team. I would encourage anyone looking for any real estate services, whether it is buying or selling, to try the services of the G-Force. It is with great pleasure that I write a letter of recommendation for Brenda Gonzalez of Lake Havasu Realty. She was incredibly helpful in finding us the perfect home that best suited our needs. She followed through from beginning to end. She was thorough and professional and made a point of being accessible to us and answered all of our extensive questions. She exhibited a lot of patience in working with us for months. She was a lifesaver. She has an easy going and personable manner which makes working with her a joy. I wouldn't hesitate to recommend Brenda to anyone looking for a Realtor. Her expertise and knowledge of staging real estate is astonishing. Willie and Brenda (Team Gonzalez) did far above and beyond the duties of a realtor in helping us relocate. They worked with us via phone and email searching for a property that met our somewhat stringent specifications. They sent many accurate digital pictures via email and took extra time in evenings and weekends to help us find what we wanted.